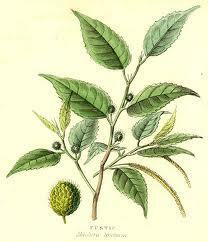 From the heartwood of a tree from the Mulberry family, as a dye Fustic yields bright yellows, deep golds and oranges. With Copper Mordant it dyes olive greens and with Iron Mordant it dyes dark greens. Fustic can be used as a base colour with Indigo to give greens and teals.a good underdye with indigo to make forest greens and teals. Fustic has a high light and washfastness although exposure to strong sunlight may cause them to become darker.Use alum mordant at 15% WOF for both protein and cellulose fibres. 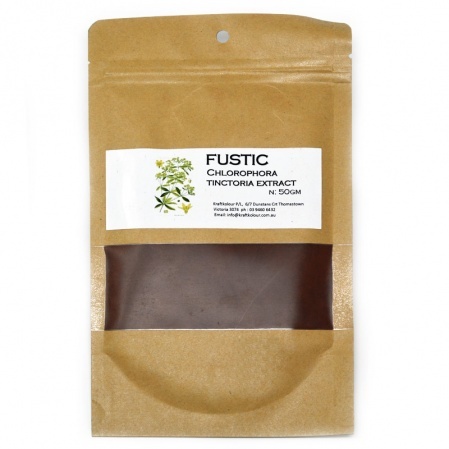 There's enough Tannin in Fustic to avoid using any Tannin.